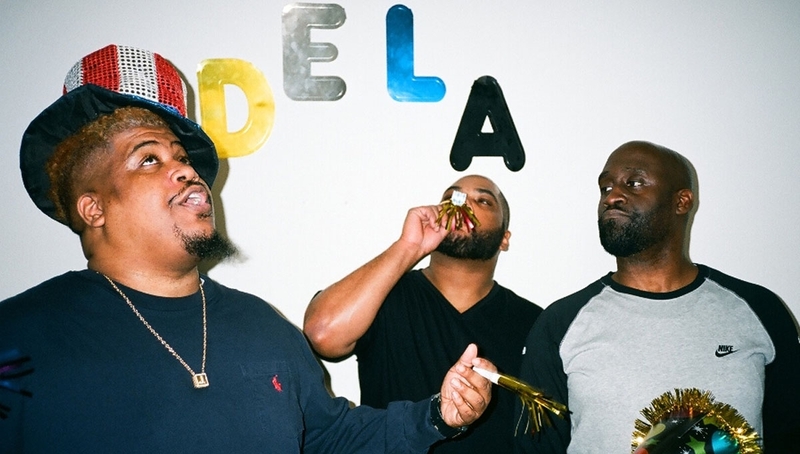 Grammy Award winning group De La Soul headline the Roundhouse stage with a full live band, following the release of latest album And The Anonymous Nobody. And The Anonymous Nobody, the group’s first album in 12 years, features contributions from Damon Albarn, David Byrne, Little Dragon, Snoop Dogg, 2 Chainz, Usher, Estelle, Jill Scott and more. Their debut album, 3 Feet High and Rising, was a critical smash that saw the group spread a message of peace and love. Second album De La Soul Is Dead, released in 1991 was a much darker album, featuring skits that criticised the direction that hip hop was heading at the time. Buhloone Mindstate (1993) and Stakes Is High (1996) saw the group evolve a new sound and cement their position as mainstays of the alternative hip hop movement. Four years later, De La Soul announced that they would release a triple album series entitled Art Official Intelligence (or AOI). All three albums were intended to be released within a year, beginning with the release of Art Official Intelligence: Mosaic Thump. This was followed by AOI: Bionix in late 2001. In 2004, De La Soul released a new full album, The Grind Date on Sanctuary Records. Although it was not the new AOI album their fans had been anticipating, it was released to some critical acclaim and was well received by most fans. The album also receives recognition for being the seventh studio album from the group. In 2005, they were featured on the Gorillaz single, ‘Feel Good Inc.’, which won a Grammy Award for Best Pop Vocal Collaboration. *Please be advised stage times may change without notice.